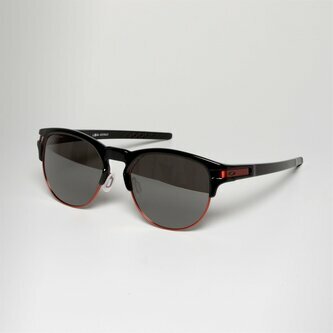 Designed for men, look your best in these Oakley Latch Key OO9394 Sunglasses in Black. These Oakley Latch Key glasses have a black frame and come in a medium style with a 52mm lens diameter. The Oakley Latch Key OO9394 sunglasses are optimised in style featuring a stainless steel underwire that creates a faux semi-rimless look. The Oakley Latch Key sunglasses collection offers an optimised fit, with adjustable silicone nose pads allowing wearers to further adjust the frame fit. The convenient latch feature is secreted at the hinge enabling wearers to securely clip Oakley Latch Key sunglasses to their shirt, so your sunglasses can stay on the go with you at all times. Crafted from ultra-lightweight and durable O Matter, Oakley Latch Key sunglasses feature Unobtanium nose pads which increase grip with perspiration making them perfect for every activity.